Sealcoatings are refined coal tar or asphalt emulsion based coatings, which are commonly used for the protection and preservation of off-street asphalt surfaces; home driveways, parking lots, airports, gas stations, etc. Additives are specialty chemicals and other substances that are added to enhance the performance properties of sealcoatings. Many latex polymers have been used for specific purposes ever since the introduction of sealcoatings. Considering the myriad of such additives, it is imperative to understand the basic chemistries of such additives and recognize the ones that will truly enhance the performance of the sealcoating in terms of better flexibility, toughness, fuel & chemical resistance and overall longevity. Sealcoating specifications, delineating the proper ratios of various components in the mix design are of critical importance for the optimum performance of sealcoating systems. Asphalt is used extensively for paving roads, parking lots, airfields, and many other surfaces because it has excellent waterproofing properties. Additionally it has excellent binding (or cementing) properties to hold the aggregates in the pavement. The asphalt mix on the top of the pavement is, so to speak, the “roof” of the pavement as it repels water and keeps the underlying base dry and structurally stable. Despite its redeeming values as a paving material, asphalt has some major deficiencies. Asphalt has very poor resistance to weathering and is easily attacked by chemicals, gasoline, oils, fats and deicing salts. The elements of weather degrade the asphaltic oils from the surface and chemicals dissolve them away. With the loss of asphalt cement, the aggregates in the top layer begin raveling and develop the first sign of pavement deterioration; the appearance of minor surface cracks. With the progression of time, these cracks increase in number and size, and if not repaired, will allow water to penetrate sub-base and base layers. 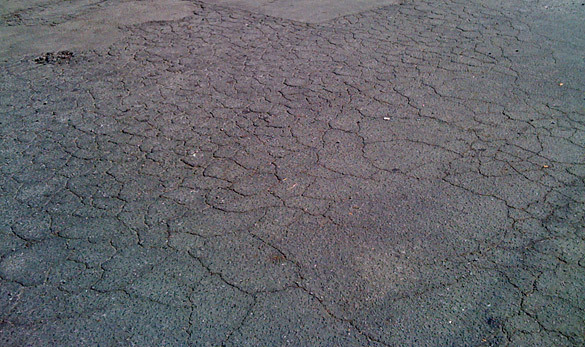 Saturated with water, sub-base and base courses lose their strength to bear traffic loads, develop larger cracks and eventually the pavement fails. Sealcoatings based on refined coal tar are commonly used as “barrier” coats to protect the asphalt from the damaging elements of weather, salt and chemicals. Why coal tar? Because coal tar has outstanding resistance to all the elements that destroy asphalt; ultraviolet, salt, petrochemicals, etc. Terms like 'sealcoating', 'sealer', 'seal' denote the very fact that these coatings seal or lock in the properties of asphalt and protect it from deterioration. Asphalt, thus protected, retains its cementing, waterproofing and flexural properties. Sealcoatings are stable dispersions of the binder (refined coal tar or asphalt), clay/ fillers, specialty chemicals and emulsifiers in water. Refined coal tar based sealers are covered under ASTM D 5727-00 and asphalt under ASMA (Asphalt Sealcoat Manufacturers Association) specification. - Water to attain a workable consistency. - An aggregate (or Sand) to improve the skid resistance, abrasion resistance, cover minor surface defects and impart a uniform surface. The aggregate shall be natural or synthetic and within 60-70 mesh. - Additives to improve the overall performance properties. 1) Thickening: To re-constitute (or build) the viscosity of the mixes, thinned with large amounts of water. 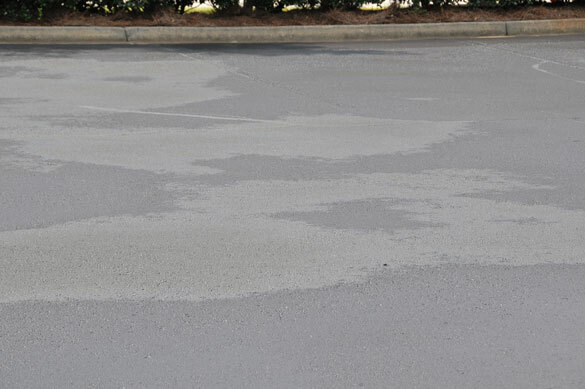 Sealcoating contractors sometimes use thickeners to compensate for excessive amounts of water added to the sealer. 2) Fast Drying: Even under "not-so-ideal" drying/ weather conditions. 3) Uniform Dry Color: Under shade or direct sun light. 4) Sand/ aggregate suspension. Large amounts of sand/aggregate are used in the sealcoating mix to improve skid resistance, produce uniform texture and fill minor surface defects. Additives keep sand/ aggregate uniformly suspended in the mix, thus eliminating settling in the bottom of the tank. Additionally, additives help distribute sand/ aggregate evenly throughout the sealcoating and produce a uniform and streak free appearance of the completed job. a. Resistance to chemicals, deicing salts, oil, jet fuel etc. c. Toughness, Flexibility and Elongation. - Mix designs for optimum performance. Latex additives are invariably formulated with a dispersion of polymers/rubber in water (latex or emulsion) and minor amounts of specialty chemicals. In chemical terms, polymers are very large molecules, made up of many types of smaller molecules. The properties of the individual molecules are manifested as well as enhanced when they are polymerized in larger chains of molecules (called polymers). The polymer molecules, though large, are still too small to be seen with the naked eye and appear as a milky dispersion called latex or emulsion. There are hundreds of polymers, rubbers and chemical emulsions that have been formulated in several assortments of additives. The sealcoating industry is inundated with additives, which claim to offer an ever-increasing list of benefits. As a result, it has been quite a challenge for sealcoating professionals to choose the right product from the myriad of latex additives for the project at hand. - Produce thickening i.e. build the viscosity of the sealer thinned after the addition of water (sometimes excessive). - Suspend large amounts of sand and other aggregate. - Speed up drying of the sealcoating. The possible explanation is the visualization that the polymer chains spread throughout the sealer film matrix thus displacing the water from the film. The water does not have the opportunity to establish equilibrium with the uncured film and is forced out at a regular rate. - Reinforce the properties like cold temperature flexibility, toughness, tack reduction at higher temperatures etc. - Improve the resistance of the sealcoating to chemicals, oils, fats, grease, aromatic fuels, de-icing salts etc. The polymer type is the backbone of the additive and it makes all the difference in the overall performance of the sealcoating. During the drying process, water evaporates and creates sufficient turbulence in the sealer film which helps the binder (refined coal tar or asphalt) and the polymer to fuse together. This process which is greatly influenced by the proper drying conditions, produces sealcoating films with a well-formed network of polymers throughout the bitumen matrix. Once the polymer becomes a part of the binder system in the sealer, its contribution to overall performance will depend directly on its own ability to withstand the elements of weather and chemical attack. Conversely, any weakness is also very likely to manifest as poor performance and premature breakdown of the sealcoating. It is the responsibility of the manufacturer to instill product awareness to his customers, benefits as well as limitations. It is also crucial for the contractor to acquire and comprehend these facts to make objective decisions. 1) Polyvinyl Acetate/ Acrylic Copolymers based additives are used in sealcoatings primarily for thickening, sand/aggregate suspension and faster drying. These type of polymers, generally, have poor resistance to water, therefore, they are likely to introduce permanent water sensitivity in the cured sealer film that, in turn, may cause premature wear. Also, poor resistance to UV radiation, salts, fuels, oils, fats, etc. limit their use as an overall performance enhancer. 2) Acrylic polymers and copolymer based additives are frequently used for thickening, sand/aggregate suspension and faster drying. Acrylics are generally resistant to ultraviolet radiation, oils, fats, lubricants, and hydrocarbon solvents. Properly formulated acrylic additives are capable of delivering all the desired performance properties. 3) Styrene Butadiene (SBR), Natural Rubber (NR), Butyl Rubber (BR) based additives have been used over the years in sealcoatings for thickening, sand/ aggregate suspension, faster drying and improved chemical resistance. These polymers have excellent resistance to water, moderate chemicals, alcohol, organic acids, etc. Their use is limited to those areas that have minimal contact with hydraulic oils, fats, etc. due to their poor resistance to such products. 4) Chloroprene (Neoprene) Polymers are used in various industrial compositions in rubber sheeting, gaskets, adhesives etc. Additives based on Chloroprene latexes are used in sealcoatings for their good resistance to chemicals, mild acids, oils, fat, grease and some solvents. They also enhance the mechanical properties of the sealcoating films. Chloroprenes have poor resistance to Kerosene, esters, ketones and strong oxidizing agents. 5) Acrylonitrile/ Butadiene (NBR) Polymer based additives are most frequently used for rubberizing both refined coal tar and asphalt based sealcoatings. The polymers in this family have excellent resistance to most chemicals, oils, fat, greases, hydraulic fluids, kerosene, etc. These are highly desirable properties for their use in sealcoatings and such polymers enhance the properties of the sealcoatings in a real sense. The poor resistance to ozone, ketones, chlorinated and nitro solvents are irrelevant for such polymers in the context of sealcoatings. The detailed data on the characteristics of individual polymer types are tabulated below in Table I. The descriptions, though general, list the major properties and drawbacks associated with the individual polymer. For example, additives based on Polyvinyl Acetate/ Acrylic (PVA) co-polymers are quite likely to reduce the water resistance, Styrene Butadiene Rubber based additives may deter the fuel resistance and so on. The use of additives based on the polymers that do not fully compliment and boost the properties of the sealcoating shall not be considered, as they introduce a weak link in the system that can be readily attacked by chemicals and or the elements of weather. The additive manufacturer should be of assistance in answering some of your basic questions about the suitability of a particular additive. He should also be in a position to explain that a particular polymer used in the additive has been chemically modified to overcome some of the deficiencies associated with that class of polymers. Based on the general information available through research publications and industry practices, polymer additive usage is 3-5 % by weight on the weight of the bitumen (Asphalt or refined coal tar) in the sealer. Considering the relative weights and general compositions, it translates to about 3-5 % by volume on the volume of the sealer. A general mix composition is represented in the following table II. The quantities noted above are only generalizations. Excessive quantities of water, polymer additive and sand have been found to be detrimental to the properties of sealcoatings. However, some specifications e.g. FAA P-627 & 628, Engineering Brief 46 A allow much higher quantities of water (max. 80%), additive (max. 14%), sand/aggregate (max. 20 lb./ gallon of the sealer). The performance of such sealcoating systems has been questioned by the industry over the years. These specifications are for guidance only. The manufacturer is responsible for designing a sealcoating system within the FAA specified limits to meet all performance tests. Again, manufacturer's recommendations and various specifications shall be adhered to for the project under consideration. Mix designs simply mean the recommended proportions of sealer, water, sand/aggregate and additive in a sealcoating system. It is not essential to use sand/ aggregate in all mix designs. The final coat may exclude sand to improve the fuel resistance of the sealcoating system. The term "sealcoating system" means that mix designs are specific to project at hand for considerations of pavement condition, age and intended use. 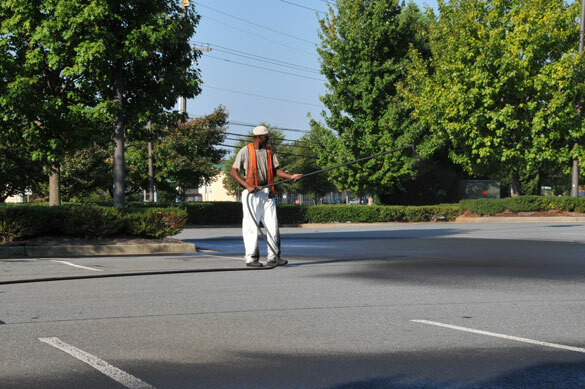 A majority of the jobs need two coats but some may require even three coats, again, depending on the pavement condition and usage requirements. 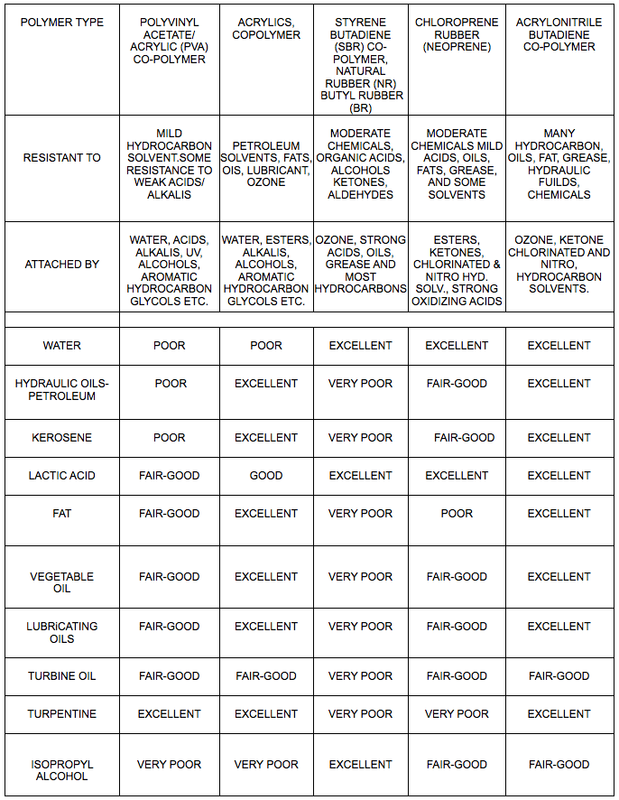 The FAA in their guide specifications, using additives recommend the following mix designs (Table III, IV). The use of additives is not essential and they shall be used only when recommended for specific performance requirements. The purpose of quoting these specifications is to point out the wide range of choices in the quantities of water, sand and additives, which have to be selected to meet all performance criteria. - WATER, as high as 80 percent by volume (FAA P-628). Mix designs without additive will use max 25-30% water by volume. - Sand/ Aggregate, as high as 20 Lbs. can be used (FAA P-628). Normally 4-5 Lbs. of sand is recommended per gallon of the (concentrated) sealer. These extreme quantities of water and aggregate additions will not be possible without the use of additives. However, the implications of excessive amounts of water and or sand should be recognized. 1) Excessive water would lower the total solids, which, in turn will produce thinner dry films thus reducing the overall wear properties of the sealcoating. 2) Excessive amounts of Sand/ Aggregate will reduce flexibility, adhesion, fuel and chemical resistance. It has been established that the skid resistance levels off at 7-8 lbs. of Sand/Aggregate per gallon of the concentrated sealer. It does not improve with additional amount of sand /aggregate. Additives will not overcome and compensate for the deficiencies introduced through improper mix design e.g. excessive amount of water, sand/aggregates etc. The additives based on polymer/ rubber latexes are used to enhance the performance properties of sealcoatings and should be selected with the proper understanding of their properties and overall contribution to sealcoating longevity. Additives with poor resistance to destructive elements may actually cause premature failure. Additionally, mix designs must be formulated with proper understanding of the total solids and binder/ filler ratio. Additives will not remedy the deficiencies introduced by the excessive amounts of water or sand/aggregate. The proportions of various ingredients in the mix design, manufacturer’s recommendations and specification requirements are of crucial importance for the desired performance of a sealcoating job. A proper understanding of these principles is invaluable to the sealcoating professional. Written by Girish C. Dubey, President, S.T.A.R., INC. For more information on Star Seal or their line of pavement maintenance products visit http://www.starseal.com.